Professionally verified by Marcella Janekova, written by Rachel Butler. First published Jan 17, 2017. Aqualyx injections are a new product that the manufacturers claim will dissolve fat cells, which are then expelled from the body via urine over the few weeks following the treatment. This controversial procedure has divided the medical community, with many dieticians and doctors distancing themselves from the process, whilst many private clinics, especially those that specialise in cosmetic procedures, are adding it to their extensive range of treatments. Firstly, Aqualyx should not be mistaken for a weight-loss drug. This product specifically focuses on body contouring and eliminating ‘stubborn areas of fat’ or ‘stubborn fat deposits’. In other words, this treatment is not suitable for overweight and obese individuals and should only be considered when diet and exercise have failed. Once injected, Aqualyx liquefies the fat cells it comes into contact with, destroying them ‘permanently, releasing the lipids that are then eliminated naturally through the lymphatic system’. This process happens over a few weeks, and so results may not be immediately visible. The time taken for a treatment session varies between 20-60 minutes, depending upon the size and area being treated. Using a new technique to minimise the number of injections, canula injections are directly injected into the fatty tissue. Many clinics claim Aqyualyx as a pain free or relatively painless treatment with available anesthetics. However, realistically going through a procedure where several needles are being injected into your body will cause some kind of discomfort and pain. The procedure seems to be more uncomfortable on the body than the face. The liquid is injected using a fanning technique, to maximise the area treated, whilst minimising the number of injection sites. A video of the process can be watched here, to get a more detailed idea of the injection process. Aqualyx itself is made up of a number of different plant based compounds that have been altered and refined in a lab environment. The makers claim that these alterations have reduced the half-life of the product, thereby increasing its safety and decreasing the chances of the patient from developing unwanted side effects. More specifically, the ingredients come from plant polymers 3, 6-Anhydro-L-Galactose and D-Galactose. Water is added to make the mixture more suitable for the purposes of injections. 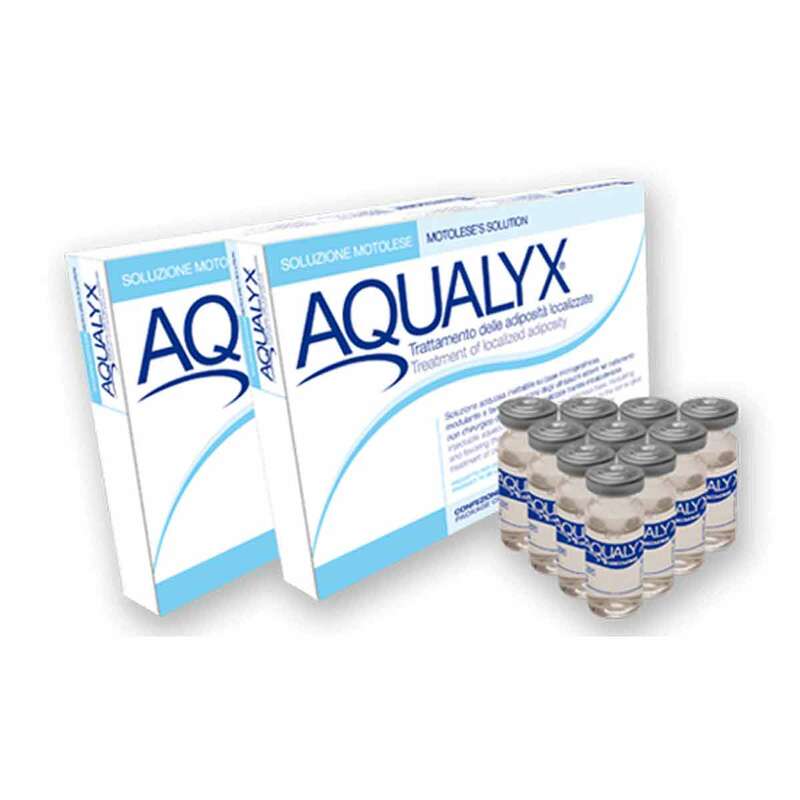 The process of injecting Aqualyx is referred to as “Aqualysis™ or Aquaplasty™”, and involves injecting the liquid into the target area, using a fanning technique to gain maximum coverage. The price of one injection starts at around £250, but to see results in larger areas, such as the stomach, bottom or thighs, a person may have to undergo numerous procedures over a number of months. This obviously greatly increases the total cost of the transformation of the body. The estimates of how many injections may be required for larger areas tend to vary between 3 and 6, although a few suggestions of up to 8 injections have also been made. Considering the cost of an individual injection, it is advisable to see the results from the first few injections before deciding if any more procedures should be performed. Currently Aqualyx injections are only available through a few private clinics which offer the service. These clinics have all been given training in how to administer the injection, and are registered on the official Aqualyx website. Anyone offering the service who has not registered with Aqualyx should be avoided. The injections are not available for private purchase over the internet, and are not for at-home use. This is due to the nature of the product, and is also for the safety of the patient. Aqualyx claims to be the only registered fat removal injection on the market in the UK, meaning that there are no direct alternative treatments that are directly comparable. The official website is quick to stress that the product has been designed to have minimal side effects, having been physically altered in a lab to reduce the half-life of the injected liquid. Because it is not a surgical procedure, there should also be no scarring from the procedure. However, one customer has commented on a review that following her injection into her neck area, she has been left with scarring in the form of track lines, following the entry lines of the needle. This does not seem to be a common problem, as it is not reported elsewhere, but is nonetheless a worrying potential side effect. if bruising occurs, use arnica cream or Auriderm to help it subside. Take anti-inflammatory medication to relieve any discomfort and swelling (i.e. Paracetamol). Small amounts of weight loss may occur following the injections, but this is more of a side effect than the main purpose of the injections. One review stated that after a series of injections, one customer lost 8lbs, as well as improving the physical look of the treated areas. Aqualyx® has been available internationally since 2009, and over 2,000,000 vials have been used for patient treatments in 49 countries worldwide. The manufacturers claim that after the fat is removed by the body following the Aqualyx injection, there is no fat regrowth. The small print is that if a balanced diet and exercise regime are followed, then there should be no regrowth of fat. Essentially, the injection does not stop people from gaining weight due to unhealthy dietary habits, but the fat cells that are removed are removed permanently. When the Daily Mail released a story on Aqualyx Injections, they mentioned that some doctors had openly spoken against the use of Aqualyx Injections. I’m very sceptical about the claims the manufacturer is making. But even if it does destroy fat cells, if people do not change their lifestyles, I expect that the body would produce new fat cells to replace them. There are some private clinics that do mention some weight loss occurring following the injections, but this is definitely not the primary aim of the injections. In fact, the procedure is not recommended for people who have large amounts of weight to lose, with a high body fat percentage. There are some possible advantages to choosing Aqualyx injections over liposuction, which have been heavily promoted by marketers. 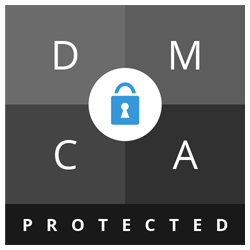 Supposedly there is no ‘downtime’ following an Aqualyx injection, meaning that patients should not have to take any time off of work, and there is no mention on the official website of any activities that are restricted following the procedure. Avoid applying any cosmetics within the first 12 hours. Avoid all direct sources of heat i.e. sun, UV radiation, saunas etc. Abstain from particularly demanding physical exercise for 67 days post treatment. Follow a healthy diet and gentle exercise regime. Normal skincare / make up routines can be performed without excess pressure 12 hours post procedure. Patients should feel only ‘minimal discomfort’ and some bruising in the days following the procedure. Unlike liposuction, there is also no scarring, as it is not an invasive surgery. The liquid injected can be mixed with lidocaine to minimise the patient’s pain levels during the treatment, but as this will take some time to become fully effective, it is unlikely to prevent all pain. However, compared to an invasive surgery with a longer recovery time, patient’s pain is comparatively little. Areas that can be ‘treated’ with Aqualyx injections include bottom, thighs, hips, stomach, back and even the neck and chin area. The larger the area, the more treatments will be required to see results. Injections are usually spaced three weeks to a month apart, as it takes up to three weeks for the ‘dissolved’ fat cells to be excreted in the patient’s urine. 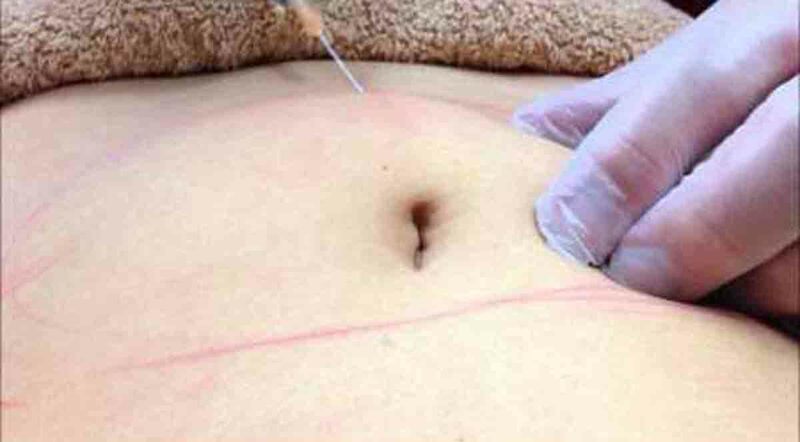 Some websites advertising the procedure note that it can take as long as six weeks after the injection to see the final results, as the injected polymer works fairly slowly to destroy the fat cells. Like all medical and cosmetic procedures, Aqualyx is not suitable for some people. The official website recommends that the treatment is not suitable for pregnant or lactating women or those with a pathological condition, or those under 18 or over 60 years of age. People who suffer from lipodystrophy are also not able to receive Aqualyx injections. The websites associated with some clinics that use Aqualyx Injections suggest that potential patients should advise their doctor if they are diabetic. This may be because blood sugar levels have the potential to rise following the treatment, as the fat cells are broken down and reabsorbed into the bloodstream. Healthxchange Pharmacy was founded in 2000 and has since become one of the most trusted and respected suppliers of pharmacy products to medical professionals with an interest in integrative and aesthetic medicines and treatments. They are registered in Guernsey, and provide detailed contact information on their official website. Is the Procedure Worth It? It is our opinion that although the Aqualyx Injections may be the right step for some people, it is definitely not for everyone. The official product website clearly states that the treatment is not suitable for overweight patients who are simply looking to lose weight, as it is designed to contour the body, rather than to dramatically reduce the customer’s weight. It is designed to be used on “stubborn pockets of fat”, and if Aquaplasty is considered, it should be used once the patient is very near their ideal or target weight. It is claimed repeatedly that there is no fat regrowth following the procedure, but this does not mean that the patient’s weight cannot or will not change. The high cost may be prohibitive to many users, especially considering the large number of injections that are recommended in order to see maximum results. Another concern for potential patients may be that Aqualyx is not FDA approved compared to its US rival ‘Kybella’. Both products are more less the same and therefore the expensive and extremely rigorous FDA testing may explain why ‘Kybella’ is 26 times more expensive to Aqualyx. Like many of the doctors who have spoken against Aqualyx injections, it is our recommendation that a carefully balanced and nutritionally sound diet, along with a regular exercise routine, is always the best way to lose weight, rather than choosing medical intervention. Has anyone seen any results in the chin and fat cheek area???????? This is not a weight-loss drug. It’s great that you have this article saying how it ‘doesn’t work’ because that means that we don’t have to field a load of phonecalls from overweight people who should go on a diet or have liposuction. Aqualyx is a body contouring treatment and the literature mentions countless times that it is for ‘stubborn areas of fat’ or ‘stubborn fat deposits’. It is clinically proven and works extremely well. Many of our patients have very low BMI and 10-15% body fat. Some are personal trainers who have lost lots of weight and have ‘stubborn fat deposits’ on their hips or tummys. I think you’ve totally missed the point here. You’re wrong that it’s painless and it’s also wrong that you recommend anti-inflammatory medications. NSAID’s are contra-indicated and must not be used while in treatment. There is an inflammatory reaction that must be allowed to run it’s course. You must also use compression clothing while in recovery. It is an expensive treatment and only available from doctors, RGNs, Dentists and plastic surgeons. It’s annoying that it’s been misunderstood as a ‘weight-loss’ aid and that so much rubbish is printed online about what is an effective and reliable compliment to any clinicians range or contouring and facial aesthetic treatments. What you have to remember is Aqualyx is designed to break fat down very slowly. We do sessions every 4 weeks but the Italians reckon it works for 8-12 weeks. Its meant for small areas only. In the body the amount of sessions you need to remove a fair amount of fat means you’d be better off having lipo. Its most useful under the chin and for jowl fat to give jawline definition, 3 sessions required. Product does not work. I had the painful injections in December. It took around 20-30 mins to administer around my stomach area. The injections were very very uncomfortable. Some more painful than others. When I got home, I was bruised all over which gradually looked worse throughout the week. My stomach was painful, distended and red for at least 2 weeks. However, this subsided and I was happy with the results as my stomach was certainly a bit flatter. Throughout this time my stomach remained painful but to a lesser extent. HOWEVER, the results didn’t last long. Probably 3 weeks in total. Now my stomach is bigger than ever. Waste of money and painful. Avoid at all costs. I’ve have (4) treatment over five years ago. The product producted amazing results. However, I can’t find a clinic that offer the produce anymore. Please send me a contact number of a clinic in or near America. I have had 3 procedures on my calves as there is stubborn fat and have really noticed a difference, even after the first one it took about 2 weeks to notice. I am definitely going for more treatments as there is still some fat but so far so very good. It is painful but found if the nurse gently rubs the area after the injection the pain subsides and remains pain free. Aqualyx should not be an expensive procedure as the product is not that expensive for Drs to buy. I think it is amazing as no amount of yoga, exercise would get rid of the this stubborn fat. Highly recommend this product from my experience. I’ve had 2 treatments 6 weeks apart on my stomach and cannot see any results, in fact it looks worse. Also expensive and painful. Is aqualyx fda approved? What are the side effects?